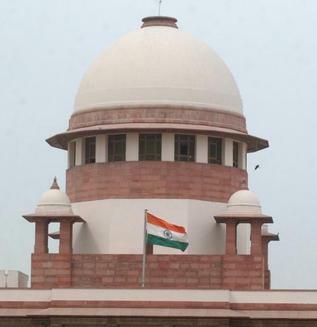 THE SUPREME Court of India has quashed the appointment of Special Police Officers (SPOs) by the state of Chhattisgarh as unconstitutional and violative of Articles 14 and 21 of the Constitution. The effect of the judgment is that the institution of SPOs working in Chhattisgarh and under similar conditions in other parts of the country would cease to operate. SPOs have been appointed in areas where the environment has been threatened by insurgency to perform the functions of the regular police by protecting themselves and their fellow citizens. In Jammu & Kashmir these SPOs constitute village protection committees, which protect the village communities from insurgents. The same mechanism was effectively used in Punjab during the days of insurgency. SPOs is a system where the members of the community are empowered to protect the community. Policemen cannot be present in every house or every village, Areas where there is an apprehension of breach of peace and security due to insurgency requires the appointment of SPOs. The Police Act of 1861 provides for the appointment of SPOs. Various state police legislations have similar provisions for SPOs to be appointed. The language of the legislations may be different. Those familiar with the ground realities of India would realise the utility of such SPOs. They supplement the normal police administration. The judgment of the Supreme Court creates a crisis situation. The state would now have to recover arms back from the SPOs. This would itself be a daunting task. Every SPO realises that he would be on the Maoist hit list. He would have only two options left – either to join the Maoists or to continue to retain his arms to protect himself from the Maoists. Having been identified as an SPO without the backing of the state or arms to protect themselves, these SPOs would now be sitting ducks. The battle against the Maoists has been loaded against the Indian state. Maoists are now laying down terms for grant of amnesty to the SPOs. The vacuum created by their removal cannot be filled easily by the local police. The tranquility in the region is going to be disturbed. A reading of the judgment of the Supreme Court prima facie indicates that the ideology of the author of the judgment has prevailed over constitutionalism. A legitimate question is whether the courts enforce the constitution or do they enforce ideologies. The Maoists are no reformers. Their principal objective is to destroy India’s parliamentary democracy and establish a communist dictatorship. The Maoists wish to dismantle every established democratic institution. If the Maoists were to take over India, the author of the judgment and other well-meaning judges like him would not be manning the Supreme Court. The court would be controlled by ideology and ideological objects of the Maoists. The judgment itself makes for an interesting reading. It is an ideological rationalisation of why the Maoists exist and fight for their causes. It is a denunciation of those who fight the Maoists. After a detailed ideological discourse, the Court goes on to find faults with the deployment of SPOs even though the Centre and the state legislation specifically empower them. It is held to be violative of Article 14 because youngsters with little education background from amongst the tribals are being given these appointments. It is held to be violative of Article 21, the right to life and liberty, because SPOs have low educational qualification and cannot be expected to understand the danger of fighting Maoism. Hiring such SPOs would endanger their lives and lives of others and therefore encouraging them is violative of Article 21. The payment of honorarium is yet another ground for quashing their appointment. If the court found the honorarium inadequate it could always direct a more humane honorarium. If the court found that educational qualifications for becoming SPOs were inadequate, it could always direct the state to formulate a policy so that persons with reasonable qualification are appointed as SPOs. The rationale of the judgment is ideology not constitution. When a court acquires an ideology it decides to frame policy. It dismantles the constitutional mandate of separation of powers. It enters the domain of the legislature and the executive. The rationale in this judgment has upset the constitutional balance. If the ideology of a judge decides constitutionality, the socio-political philosophy of the judge would become relevant. When the social philosophy of a judge is relevant you are back to the Emergency-eve days. There is no greater threat to judicial independence than a judiciary committed to a socio-political ideology and not the Constitution. India’s political process and parliament must seriously consider the consequences of this judgment. Arun Jaitley is Leader of the Opposition in the Rajya Sabha. Why are NGOs, sting operations silent on Naxal menace? EW DELHI: India signed the International Convention on the Prevention and Punishment of the Crime of Genocide in 1948 and ratified it in 1958. Under this, a signatory state is bound to effectively act upon and legislate upon the intents of the mandate of the convention. According to the convention, genocide means any of the following acts, committed with the intent to destroy, in whole or in part, a national, ethnical, racial or religious group, that would include killing members of the group. It slso includes causing serious bodily injury or mental harm to members of the group, deliberately inflicting on the group conditions of life calculated to bring about its physical destruction in whole or in part, imposing measures intended to prevent births within the group and forcibly transferring children of the group to another group. In the 2002 killings in Gujarat, a frenzied mob, with state patronage, systematically targeted Muslims that the world rightly branded as one of the worst genocides in India. Union home minister Shivraj Patil’s well-informed deputy, Sri Prakash Jaiswal, told the Lok Sabha in 2005 that 790 Muslims and 254 Hindus were killed, 223 more were missing and 2,500 were injured. The state government’s effort to botch the inquiry to help the perpetrators get acquitted by the court was derailed by a vigilant group of NGOs, supported by the media, and the timely intervention of the Supreme Court, which did not mince words in blaming the then Gujarat administration. A series of sting operations unveiled and continue to unveil the ugly faces behind the carnage. Exactly 23 years ago, a frenzied mob led by political leaders butchered Sikhs in Delhi after two bodyguards from the community assassinated Indira Gandhi to take revenge for Operation Bluestar, the Army action to flush out terrorists holed up in the Golden Temple at Amritsar. The official toll – 2,733 Sikhs were killed. Unofficial figures put it at around 4,000. Till date, not a single conviction of consequence has taken place, given the shoddy investigation done by the police at the behest of those in power, and commission after commission have failed to identify the perpetrators. In the wake of Nanavati Commission report on anti-Sikh riots being tabled in Parliament in 2005, which led to the resignation of Union minister Jagdish Tytler, Prime Minister Manmohan Singh said his government would seek to prosecute those guilty of inciting the deadly riots in 1984. For all these years, the NGOs, the media and the sting operators did not think it a fit subject to probe and unmask the masterminds of this genocide. Killings by Naxalites, waging a war for the have-nots against the exploiters, have crossed the four-figure mark in the last five years. Jaiswal in 2005 told the Lok Sabha that 76 districts in nine states were badly affected by Maoist violence. In 2006, he was contradicted by Patil, who claimed to have personally collected the data, which showed that only 50 districts were affected. In 2007, addressing a chief ministers’ conference in Delhi, the PM said Naxalite movement had spread to over 160 districts. There is hardly any activism on the part of NGOs, media or sting operators to expose the masterminds behind the Naxals who have defied the state machinery and strike at will. The tears shed by victims – be it of Gujarat riots, anti-Sikh riots or Naxal violence – are identical. Article 2 of the Genocide Convention applies equally upon all three forms of attack. Why is it then that only one of them gets highlighted and not the others? It is time the Centre took appropriate steps to prevent such carnages through legislative and socio-economic measures. That alone would justify its decision to ratify the convention 50 years ago.